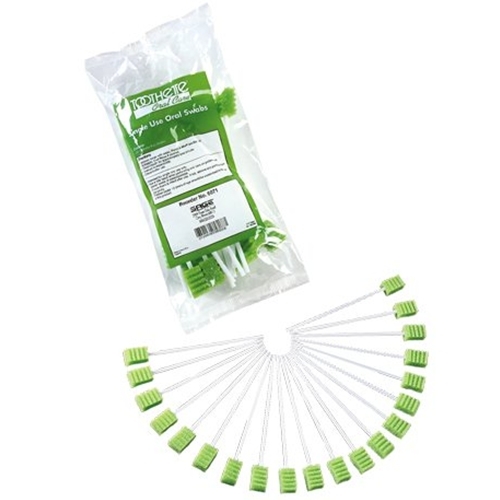 Sage Toothette Plus+ Oral Swabs with Sodium Bicarbonate from HealthyKin.com have soft foam heads that are gentle to fragile tissue. Perpendicular ridges help clean between teeth and stimulate oral tissue. I was getting another brand from my local pharmacy. These work much better and are so much cheaper. We are thrilled to have found them on this site. We use many every day for my son's mouth care since he cannot swallow well. I'm familiar with using these at the hospital. It's just what I was looking for; the long and sturdy plastic stem is much better than short-twisted paper stem. With shipping, the price can add up in a hurry since you need at least 2 a day. min. Just as shown! Super Fast Shipping!! !